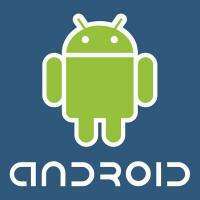 Android 3.0 paves the way for high-end smarthphones and tablets. Great, now I have to wait another 6 months to buy a phone. I want to buy one and not feel ripped off that something significantly better comes out in a few months after that. Now here's how that should sound from somebody on this site. "Great! When I buy the best phone there is, they improve the technology in only 6 months! Yay!". Something like that. I personally like that technology is advancing so quickly. Would you like them to slow down? Here's an idea, if you'd prefer they'd hold off and only release yearly, then don't buy every new phone and just buy them when you feel they've accomplished a radical improvement. You don't have to buy every phone that comes out. for most technologies I deliberately buy the obsolete, always staying a couple years behind. you don't really miss anything and you don't spend near as much. I still love my G1. I thought google was taking a loss on youtube? Don't believe everything that you read. Odds are good that 3.0 wont be out till very late this year or early next year. Also, be a man and root your phone. Then you can install 3.0 as soon as it comes out. Besides, processors are pretty new right now. There won't be anything drastically faster than the various 1ghz processors out now till around christmas. And even that will likely just be a speed bump. New architectures and dual core variants wont be out for 9 months or more. Or maybe I made all that up. Also: SIGN A 1 YEAR CONTRACT!!!!! hah, the above was meant to be slightly tongue-in-cheek. I love that the technology is developing so quickly; but I will admit that, as a personal inclination, I get hesitant to invest in something now, when waiting a few months could get me something even better. It's a function of what cost I'd rather spend, time or cash. As a grad student, I have a lot more of the former than the latter. If you're sick of updating phones and OS try the DynaTAC 8000X by motorola.